I just received my Amazon order yesterday evening. 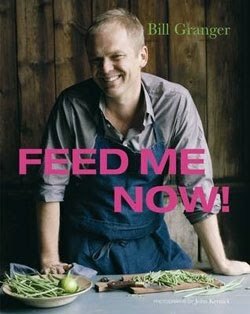 Along with two Booker prize nominations (AS Byatt and Sarah Waters) plus the winner, Wolf Hall by Hilary Mantel, I also bought two foodie books – David Leibovitz’s The Sweet Life and Bill Granger’s newest cookbook Feed Me Now. It’s been a long time since I’ve actually sat down and read through a whole cookbook from cover to cover. This is going to be a classic and will now be on my “favorite cookbook shelf” for its’ simple recipes and realistic preparation and easy-to-find ingredients. I can’t wait to get back from Madrid and try the recipes out.